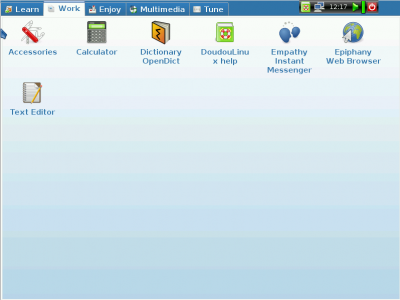 DoudouLinux 1.0 (read: DueDueLinux) Lenny Debian-based distros is the operating system aimed at children aged 2-12 years, designed to be both educational and fun. It can be used from a CD/DVD or an USB stick so you don't have to install it. 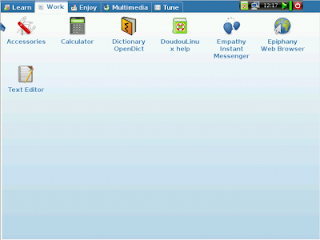 It uses LXDE desktop OS and supports 15 languages, namely Arabic, English, Chinese, Dutch, Bahasa, French, Greek, Italian, Persian, Polish, Romanian, Russian, Spanish, Indonesian, Serbian, Swedish and Ukrainian. These distributions have dozens of applications that cater to children in hopes that they can easily use it and become familiar with this distro.